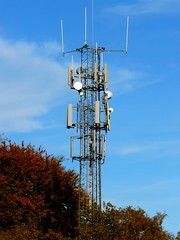 Transparent allocation of airwaves and free roaming services are the main highlights of the New Draft Telecom Policy. 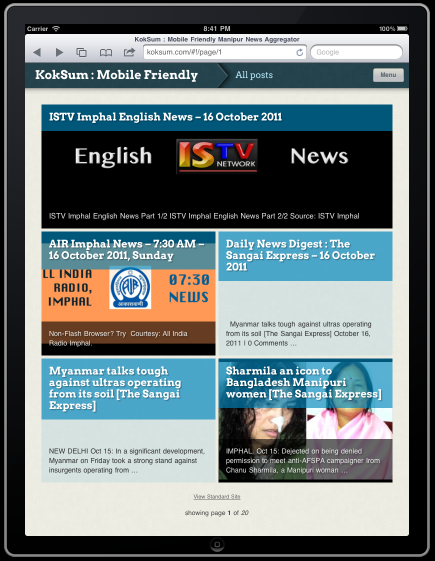 The Communications Minister Kapil Sibal unveiled the policy in New Delhi today. Strategies to increase rural reach, higher broadband speeds and more funding options for operators and a new law on spectrum allocation and usage are some other highlights of the policy. The new draft policy, which was uploaded on the official website by Communications Minister Kapil Sibal, seeks to de-link allocation of licence to service providers from the award of radio waves. This will pave the way for acquiring the air waves through competitive bidding or by sharing it with existing firms. Mr. Sibal also said that, after receiving inputs from stakeholders and people at large, the final policy will be unveiled by December. He said, the policy is designed to transform socio-economic scenario through accelerated, equitable and inclusive economic growth. He also said that this can be achieved by laying emphasis on providing affordable, quality services in rural and remote areas. Our correspondent adds that thrust areas include increasing rural tele-density from 35 percent to 100 percent by 2020, ensuring broadband on demand, 600 million connections by 2020 and grant of one nation-wide licence , mobile number portability across the country and better quality services. Other highlights include enactment of a new spectrum act to address allocation issues, infrastructure status to telecom for better financial options, a new company to help fund telecom projects, appropriate policy for firms wishing to exit telecom business,and a new fund to promote domestic research and manufacturing. The minister also made it clear that while pursuing the new policy, the focus will be clearly on the development agenda and not on the money that can accrue to the exchequer and to make India a hub of value added services. 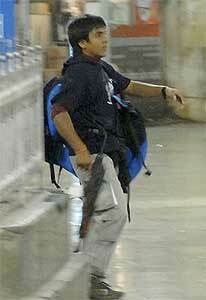 Supreme Court has stayed death sentence of 26/11 Mumbai terror attack convict Ajmal Kasab. The Supreme Court today heard the plea of the Pakistani terrorist challenging his conviction and death sentence in the 26/11 Mumbai attacks case. Kasab, the sole convict in the case, has filed the petition through jail authorities in the apex court which had appointed senior advocate Raju Ramachandaran as amicus curie to assist it in deciding the appeal. On September 2, the apex court had agreed to hear the plea of Maharashtra government against the acquittal of two accused Faheem Ansari and Sabauddin Ahmed in the 26/11 case. It, however, had refused to pass any order on Kasab when the state government pleaded that his letter to the Supreme Court challenging his death sentence should be tagged with this appeal. The Bombay High Court had in its February 21 verdict upheld the trial court order awarding death sentence to Kasab for the “brutal and diabolical” attacks aimed at “destabilising” the government. Unidentified militants hurled a powerful grenade at the house of a senior doctor of Regional Institute of Medical Science and Hospital in Imphal west district of Manipur, official sources said Monday. The militants came to the house of senior doctor W Kunjabihari at Kwakeithel near here late last night and lobbed the grenade at around 8 pm. But it failed to explode, sources said. The doctor and his family members were present at the time of the incident, sources said. No individual or group has claimed the responsibility but police said they would investigate whether it was connected with monetary demand from the doctor, sources said. Imphal, October 9: The state today mourned the sudden demise of MLA Wungnaoshang Keishing with floral tributes and gun salutes to the departed soul as a mark of respect at the Manipur Legislative Assembly Complex today. The lifeless body of MLA W Keishing was taken in a procession from his official quarter to the Manipur Legislative Assembly campus with a contingent of the Manipur Rifles Band leading the way. Gun salutes were given followed by floral tributes by the Chief Minister, O Ibobi, his Council of Ministers, MLAs, Assembly Secretariat staffs and families and friends of the deceased as a mark of respect to the departed soul at the complex. Later on, at around 1 in the afternoon his lifeless body was transported to Kongkan, his native village in Ukhrul district with tight security arrangements. A condolence will also be conducted at his native village tomorrow where gun salutes will given by an MR contingent and finally his last rites will be performed there. Answering a query, Chief Minister O Ibobi said that the lifeless body of W Keishing will be transported to his native village in Ukhrul with tight security arrangements. The government will see to it that no unwanted incident takes place in the funeral process. Speaking to media persons at Manipur Legislative Assembly complex, O Joy, leader of the Legislative Wing, MPP, said that there is no such place as Nagalim. The NSCN (IM)’s statement that the lifeless body of W Keishing will not be allowed to be buried in his birth place is a barbaric act. Even during times of war the dead is paid due respect. Imphal, October 9: Manipur climbers continued their outstanding performances to dominate the second day of the 13th North East Zone Sports Climbing Competition, 2011 being held at the Kangla Rocks and Climbing Wall, Minuthong, Imphal. In Men’s Open Lead final, Ph Khelendra of Manipur secured the top spot while Meghalaya lad Lakitbok Lyngdoh and Kh Regan of Manipur secured the second and third positions. Senjam Devala and Ph Sushirani of Manipur secured the first and second position in Women’s Open Lead final. Ngandarihun Sohshang of Meghalaya was placed third. Devala and Sushirani also secured the two top spots in Women’s Open Bouldering final with Devala emerging first and Kayleigh Petra Nongkynrih of Meghalaya the third position. State climbers managed to win the top three spots in the final round of Junior Boys Bouldering with K Surjit emerging first while L Muhindro and N Rishikesh winning the second and third positions. Ph Laxmikumari of Manipur was declared winner of Junior Girls’ Lead while she secured the top spot in Junior Girls’ Bouldering final event. In Sub Junior Boys’ Lead super final, N Nandakumar, Y Prem and T Inaoba of Manipur won the first, second and third positions. L Kebisana of Manipur secured the top spot in Sub Junior Girls’ Lead final. The second and third spots were won by Hakadeambok Sungoh of Meghalaya and H Swety of Manipur respectively. New Delhi, Oct 9: Around 1.290 kg of heroin worth Rs 1.29 crore and over 100 kg of ganja worth Rs 10 lakh have been seized from four people in separate incidents, police said today. On receiving information, crime branch sleuths arrested 24-year-old Hanif Salman yesterday from near a Gurudwara in Seelampur. He was going to deliver a consignment to a contact, said Ashok Chand, DCP Crime and Railway. One kg of heroin worth Rs one crore in the illegal market was recovered from him, he said, adding Salman is a resident of Manipur and had completed graduation this year. Soon after his graduation he wanted to do some work to support his father financially but he could not find a job. He was lured into drug trafficking by an associate in Manipur and became a drug carrier. Salman used to get Rs 20,000 for delivery of each consignment. The heroin had been brought from Manipur to Delhi to be delivered to a contact. In a separate incident, two drug traffickers were arrested on October 6 and 100.400 kilogram of ganja, worth Rs 10 lakh in the street market, was recovered from him. Two persons, Veer Bahadur (22) and Jamshed (37) were intercepted on receiving information that they would be coming to Okhla to deliver a consigment of 100 kgs 400 grams of ganja from their possession. The Innova car in which they were travelling has been seized. They got into drug trafficking to make quick money. He used to procure ganja from Cuttack and Angul in Orissa and sell it in Delhi and the National Capital Region through his associates, Chand said. In another incident, Crime branch arrested Roshan Lal alias Lala from near Anand Vihar ISBT on October 5, when he came to deliver a banned drug consignment to his associate. Police recovered 290 gms of heroin from his possession. Lal is a class 10th drop out and used to run autorickshaw to help his father. “During one local trip he met Munna of UP and was introduced to drug trade. He used to procure heroin from Munna and sell it to his customers in Delhi and Ghaziabad,” Chand said. Srinagar, Oct 09: Intesnsifying its movement against Armed Forces Special Powers Act (AFSPA) which is implemented in Kashmir and North East, the ‘Save Sharmila Solidarity Campaign’ group will take out a public caravan from Srinagar to Imphal. This campaign is a joint initiative of various social organisations and movements who are extending their support to Irom Sharmila for the demand of repealing AFSPA. The ‘Save Sharmila Solidarity Campaign’ organized a press meet at Islamic Relief & Research Trust (IRRT), Kashmir. Faisal Khan, a renowned activist of National Alliance for People’s Movement (NAPM) and key organizer of the campaign informed mediapersons that the caravan is being organize to spread awareness about Irom Sharmila and to generate public support for her. Sharmila is observing fast for last 10 years demanding repeal of AFSPA from Manipur. Mr. Khan said that the main objective of the campaign is to make public opinion to repeal AFSPA and for this various activities such as pamphlet distribution, public meetings, press meet, nukkar natak etc, will be conducted throughout the route. “We will focus on states where people don’t know about AFSPA and its consequences. We believe that AFSPA is a draconian law and there is no place of such laws in democracy. We will tell the people about AFSPA, its problems and necessity to repeal it from J&K and NE states. We feel that public opinion in non victim states (where AFSPA is not imposed) to repeal AFSPA is very much required to save democracy and justice,” Khan said. He informed that the caravan will cover 10 states and around 4500 Kms. It will move from Srinagar to Imphal via Jammu, Ludhiana, Karnal, Panipat, New Delhi, Aligarh, Kanpur, Lucknow, Varanasi, Patna, Ranchi, Kolkata and Guwahati. The journey will start on 16th October and will reach Imphal on 27th October. Megsasey awardee Dr. Sandeep Pandey and renowned activist Medha Patkar will flag off the journey. Ravi Nitesh from Mission Bhartiyam and another member of Save Sharmila Solidarity Campaign told that the campaign has already launched nationwide protest. This is first time in history when any such campaign that is focused to repeal AFSPA has been launched in 21 states of India. Irom Sharmila, who is on hunger strike since the year 2000 has been ignored by government. Civil society has also not done much for the cause. AFSPA is imposed in J&K and NE states and many thousands people have been killed, tortured, lost in these states. Irom Sharmila is demanding to repeal AFSPA and she has become a symbol of peace and a strong voice against AFSPA. Hence, we all have to extend our support for her fight. J&K is affected with AFSPA on one side and NE states on another. Hence, the journey will start from Srinagar. Dr. Muzaffar Bhat of J&K RTI Movement said that his organization also supports the Save Sharmila Solidarity Campaign. “We believe that it is our responsibility to extend our support towards the cause. We are victims of AFSPA and we are raising our voice since last many years,” he said. Adv. Abdur Rashid Hanjura, founder of IRRT and Shahnawaz Mir from Centre for Social Justice, J&K welcomed the move and supported the campaign. Tanveer Hussain Khan from ANHAD, Kashmir said that we all are dedicated towards the cause. We all extend our support towards this campaign as the campaign is raising the basic issue of AFSPA which is important not only for J&K and NE states (victim states) but for other states too, as it will address the problems of democratic values. The campaign is said to have already received support of more than 50 organizations including National Alliance of People’s Movement (NAPM), Asha Parivar, Khudai Khidmatgar, Mission Bhartiyam, Sadbhav mission, ANHAD, J&K RTI Movement, INSAF, PEACE, Centre for Social justice (J&K), Yuva Koshish, SAMAR, Le Mashale, Society for Youth Development, Asian Centre for Social Studies, Just Peace Foundation, We The Common People (WTCP), Student Islamic Organization (SIO), Mahila Chetna Kendra, Jagriti Mahila Samiti, Inqualab Zindabad, Society for Youth Development, Save Democracy Repeal AFSPA, Rights Initiative, Islamic Releif & Research Trust (Kashmir) and many others. IMPHAL, Oct 9: Responding to the call of Sadar Hills Districthood Demand Committee (SHDDC) to drop celebrating Kut festival, 2011, the District Level Kut Committee, Chandel district has unanimously resolved to forego the celebration of Kut festival in support of SHDDC’s demand during an emergency meeting held on October 5, secretary publicity of District Level Kut Committee, Chandel district Thanggin Haokip informed in a statement. The District Level Kut Committee has also appealed to the State Government for considering the demand of SHDDC in the interest of the people in Sadar hills.